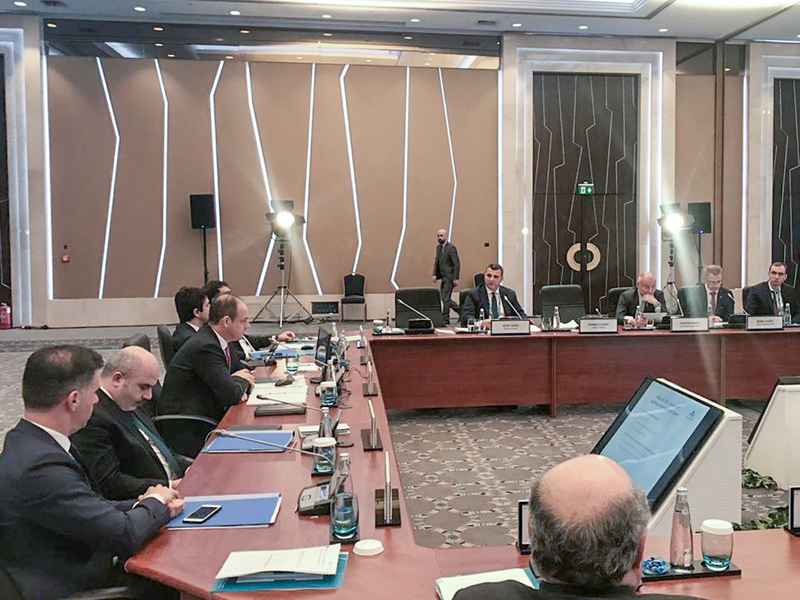 On March 25-26, 2019, the Governor of the Bank of Albania, Gent Sejko, attended the meeting of 41 of the Governors’ Club of Central Asia, Black Sea Region and Balkan countries held in Istanbul, Turkey. Participants in the meeting were the leaders of the central banks of the member countries of the Club, as well as senior representatives of the International Monetary Fund, the European Central Bank and the Bank for International Settlements (BIS), as well as prominent academics. The event was opened by the welcoming speech of the Governor of the Central Bank of the Republic of Turkey, Murat Çetinkaya. During the works of the Club, participants discussed the latest global and regional economic developments as well as the challenges faced by central banks: price stability and financial stability. The attendees also discussed extensively on some other important issues, such as institutional governance of central banks and communication of the decision-making process. 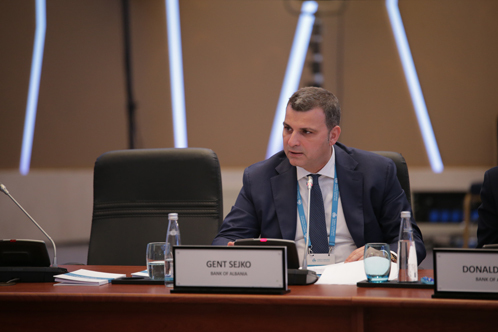 In this activity, the Governor of the Bank of Albania, Gent Sejko, delivered a presentation on the panel on “Central Bank Communication on Increasing Policy Efficiency: Strengthening Knowledge and Building Trust”. During the presentation, Governor Sejko stressed that building public confidence in the central bank institution is a long and difficult process, but increasing transparency and continuous communication are key factors for the success of this process. In this context, the Bank of Albania attaches special importance to its communication with the public, not only to maximize its accountability as an independent institution, but also as a tool for increasing the effectiveness of the policies undertaken by it. Governor Sejko, through illustration with concrete examples, shared with the participants the Bank of Albania experience in the communication of monetary policy and other policies that help preserve the macroeconomic stability of the country and increase the well-being of Albanian citizens. The Governor explained the main objectives, principles and channels on which the Bank of Albania supports communication with the public, paying particular attention to timely information and to be as simple and clear as possible. An important element, which has already become one of central bank responsibilities, is financial education of the public. In addition to informing the public about the activity, Bank of Albania has been trying to explain the reasons behind its decision-making through a series of educational programs that have been adapted according to age groups and the information needs of different interest groups. These efforts have a long-term goal, creating a society that understands, reacts and creates expectations in line with Bank of Albania’s decision-making. 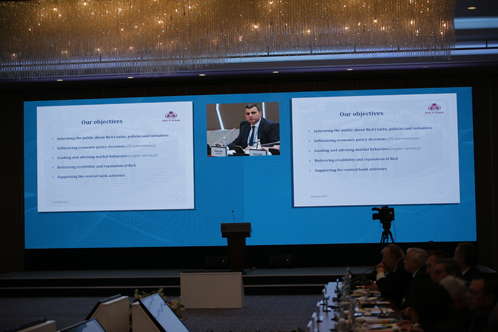 Governor Sejko, at the end of his presentation, stressed that the communication of the Bank of Albania aims to consolidate it as a responsible, reliable and efficient institution. Such an institution contributes to long-term macroeconomic development, coping with national challenges and European integration of the country. The Governor’s Club was established in 1998, at the initiative of the Central Bank of the Republic of Turkey. The members of this Club are 26: Albania (since 1998), Greece, Turkey, Romania, Bulgaria, Bosnia and Herzegovina, Macedonia, Serbia, Montenegro, Russian Federation, Ukraine, Israel, Azerbaijan, Armenia, Georgia, Kazakhstan , Kyrgyzstan, Moldova, Tajikistan, China, Czech Republic, Poland, Croatia, Slovenia, Belarus and Hungary. Its purpose is to strengthen ties between the central banks of the region and foster regional co-operation through exchange of best experience of treating them at roundtable meetings at the level of governors or experts in problematic issues of the moment.